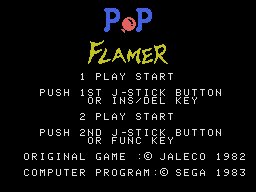 Pop Flamer (ポップフレーマー) - Games - SMS Power! 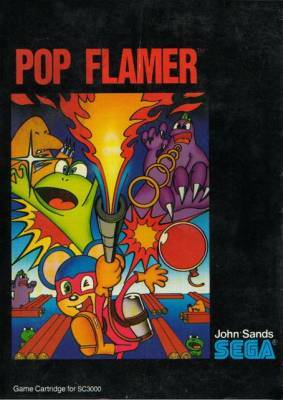 "POP FLAMER" is a mouse which operates a flamethrower. 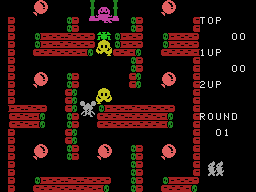 You as a player attempt to break balloons and supply fuel for the flamethrower while eliminating me 3 kinds of MONSTERS and the obstacle FROG which is obstructing the routes. However, be careful of the tranqulizing beam from the "HARADON". 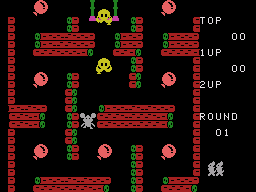 When you are exposed to this beam, you will not be able to move temporarily! 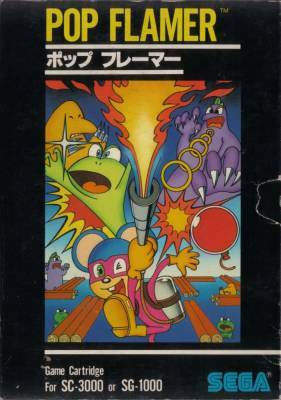 When the POP FLAMER takes a power-up drink", it changes into a "SUPER MOUSE" and you can score high points by swallowing the nearby MONSTERS in one gulp! !